Subsidiaries Osteonics Corp, SynOptics, Howmedica, Ascent Healthcare Solutions Inc., Trauson Holdings Company Ltd, MAKO Surgical Corp, Patient Safety Technologies Inc., Sage Products LLC, Entellus Medical Inc., etc. Stryker is a global medical technology company. It makes hip replacement implants and surgical instruments, among other products. Stryker has had to recall some of its products because of concern for patient safety. The company has paid billions of dollars to end metal-on-metal hip implant lawsuits. It has also paid nearly $100 million to the federal government to resolve criminal charges. Stryker is a global leader in medical technology. It makes orthopedic implants and power tools for surgery, among other products. The company has made the Fortune 500 list for 16 years. Its revenues top $12 billion. But, Stryker has also recalled products over concerns for patient safety. Lawsuits against Stryker say some of its metal-on-metal hip implants were defective. The company paid about $97 million to the federal government to resolve criminal charges. One of the company’s CEOs received a jail sentence. Stryker has more than 40 subsidiaries. It offers products and services in over 100 countries. The company employs about 33,000 employees globally. Its headquarters is in Kalamazoo, Michigan. Kevin A. Lobo is the current CEO. Stryker has three business segments: Orthopaedics, MedSurg, and Neurotechnology and Spine. Its Orthopaedics division includes knee, ankle, trauma and hip implants. It accounted for 38 percent of Stryker’s sales in 2017. Its MedSurg unit brought in the majority of its sales at 45 percent. This unit includes its surgical and endoscopy tools. How Much Money Does Stryker Make? Stryker made about $12.4 billion in 2017. Its total revenue was up $3.2 billion in early 2018. The sales growth was an average of 5.6 percent above competitors’. The company surpassed $12 billion in total revenue for the first time in 2017. Stryker says it’s had 38 consecutive years of sales growth. Stryker spent $787 million on research and development (R&D) in 2017. The company’s lengthy list of worldwide patents reached about 6,600. Dr. Homer Stryker is best known for his inventions that revolutionized orthopedic care. Stryker got its start in 1940. Dr. Homer Stryker rented space for an orthopedics practice in Kalamazoo, Michigan’s Borgess Hospital. He used a basement room to work on ideas for medical tools. One of his first inventions was a hospital bed called a “turning frame.” It allowed doctors to reposition patients as needed while keeping the patient immobilized. The bed was popular with doctors and hospitals. Dr. Stryker hired his first employee to manufacture it in 1941. 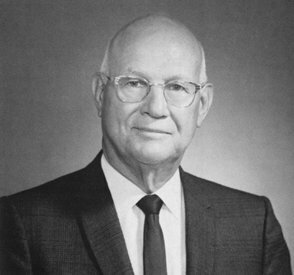 In 1946, Dr. Stryker incorporated his business as the Orthopedic Frame Company. 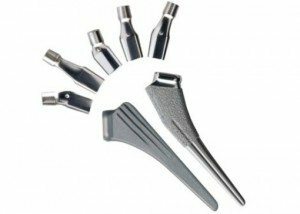 The company featured four products: the turning frame, a walking heel for casts, a surgical traction device and a cast cutter. In 1947, Dr. Stryker developed the idea for an oscillating saw to help simplify the task of cast removal. The saw used the motor from a malted milk mixer. The device could quickly cut through hard casts but its blade did not cut skin. In 1964, the company changed its name to Stryker Corporation. Dr. Stryker died in 1980. The company reached $36 million in sales that same year. Stryker Corporation went on to focus on developing new technology. It acquired other companies that could contribute to its success. For example, it bought Pfizer’s Howmedica division in 1998 and nearly doubled its size. Ascent Healthcare Solutions Inc. – broadened the company’s scope to include reprocessing and remanufacturing of medical devices in U.S.
Stryker's Orthopaedics division makes components for hip replacement. Stryker’s Orthopaedics division makes implants. These include hip, knee, ankle and trauma implants. The company’s operating room equipment can be found in roughly 3,000 American hospitals. It includes everything from robot-assisted surgical devices to fluid extraction devices. Stryker also creates surgical navigation software and communications systems. It makes hospital beds, stretchers, support surfaces and hospital furniture. Some of Stryker’s most forward-looking innovations involve robotics and 3D printing. Stryker has developed a proprietary 3D printing process called AMagine. The “AM” stands for “additive manufacturing,” the industry’s name for 3D printing. Stryker hip lawsuits say faulty hip implants caused severe pain and other complications that required surgery to repair. More than 3,400 people sued Stryker after problems with its Rejuvenate and ABG II hip implants led to recalls. Stryker settled lawsuits over the devices for $2 billion. But the company faces new lawsuits over its LFIT V40 hip implant. The first LFIT V40 lawsuit is scheduled for trial in 2019. Stryker has recalled some of its products that led to injuries. Reasons include contamination and defects that caused bone and tissue damage. The FDA investigated these defective products. In 2014, Stryker subsidiary OtisMed and its former CEO pleaded guilty in federal court to intentionally distributing knee-replacement-related devices that were not FDA-approved. OtisMed paid more than $80 million to the federal government. A court sentenced former CEO Charlie Chi to two years in prison for his role. In 2007, Stryker agreed to pay $16.6 million to the federal government to settle a Department of Justice investigation into a former subsidiary, Physiotherapy Associates. The settlement resolved the federal government’s claims that Physiotherapy falsely billed federally-run health care programs for services.